The following are major factors that should be properly looked into if you don’t businesses to fail, these are more often overlooked. 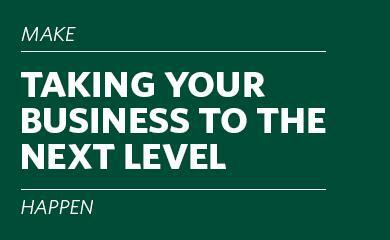 Its important to ensure that all these points are properly understood and put in place as this will go a long way in ensuring that your business stands the test of time.  Have enough resources made available.  Proper testing of the viability of the business.  Proper practice of human management skills.  Good decision making skills.  Having the right set of personnel on your team.  Being able to properly manage people, resources and activities needed to succeed in the chosen business.  Understanding all the technicalities involved in the business.  Flexibility is key to success in business.  Pay attention to customer complains.  Be unique and stand out. 1) Have enough resources made available. In other to have or run a business successfully, there has to be enough resources made available and these available resources have to be properly managed. When the resources available are not enough, it can affect the business as it can lead to it failing. 2) Proper testing of the viability of the business. One of the factors that are very important and can determine how profitable the business will be is viability test. There is need to always check how viable a business will be overtime given that all resources are made available over a period of time t. A business that is not viable is one that will fail on the long run and should never be considered at all. In any business there is need for you to be able negotiate and persuade all prospective customer to buy your products and services. You should be able to from time to time discover new ways of making your product and services remains in the minds of your prospective customers. 4) Proper practice of human management skills. A successful business is one that has the capacity to properly manage people and customers (both internal and external customers) in every way. When a business lacks the ability to properly manage customers (especially their expectations and different characters) it can result to loss of all customers and sales as one badly treated customer can make you loose more than ten more customers, which will lead to the failure of such a business. 5) Good decision making skills. 6) Having the right set of personnel on your team. In other to run a successful business, it is important to have the right set of teammates on the team. The team should be composed of people that are ready to think out of the box in order to add value to the business and make it more successful than it might have been. Having the wrong set of people on your team can lead the the failure or end of such a business. 7) Being able to properly manage people, resources and activities needed to succeed in the chosen business. In business, being able to properly manage people, resources, and all other activities and tasks in other to yield results is key. This is why much emphasis should be placed on good resource management another for the business to succeed. Team work is very important in making any business successful. Business has to do with being able to coordinate and delegate activities that will help grow the business. Working hand in hand with different people, teams and when you are not able to work with your team it leads to you not being able to do or perform specific tasks that are needed to succeed in the business. Concentrate on satisfying specific customer needs and ensure you. don’t loose focus no matter what happens. Being focused actually makes your business have more customers and this also leads to its increased growth. Not being focused creates an impression that you don’t have an idea of the needs of your customers you want to satisfy and this leads to your business failing. It is very important to avoid all forms of distractions. An important factor to consider in business is how it will be properly funded and if the method of funding can be sustained. 11) Understanding all the technicalities involved in the business. Proper examine, study and know how to properly implement all the technicalities involved in making your business succeed. Its important that you properly understand all the modalities involved in running your chosen business. Satisfying customer needs is the basic reason why businesses are established. It is really important to know that any business that is not aimed at satisfying the needs of her customers will definitely fail and will never at any point in time succeed. You must first serve before you start making profits. Always learn to anticipate new ways of doing things and learn to prepare for challenges that will arise at different points in the business. 14) Flexibility is key to success in business. If you want to grow and succeed in business, you must be open to change. At any point in time you have to be able to do things differently from time to time. It is important that you find ways of improving the quality of the goods, products and services you provide to your customers as a business. 15) Pay attention to customer complains. 16) Be unique and stand out. You have to differentiate your business from that of the competitors, its important you standout and have a brand for your business. Trying to copy your competitors will end up making you loose your customers, you will actually be making the same mistakes they are making.